The Energy Storage Council held their “Queensland Energy Storage Summit” on 22nd March 2017. 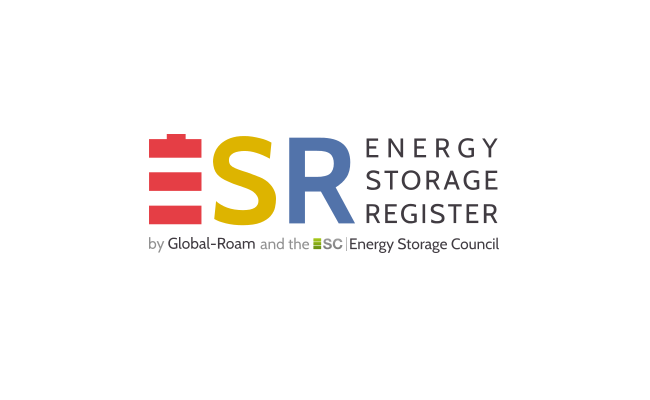 We were invited to give a brief overview of the work we’d completed, to date, on the development of the national Energy Storage Register (ESR). 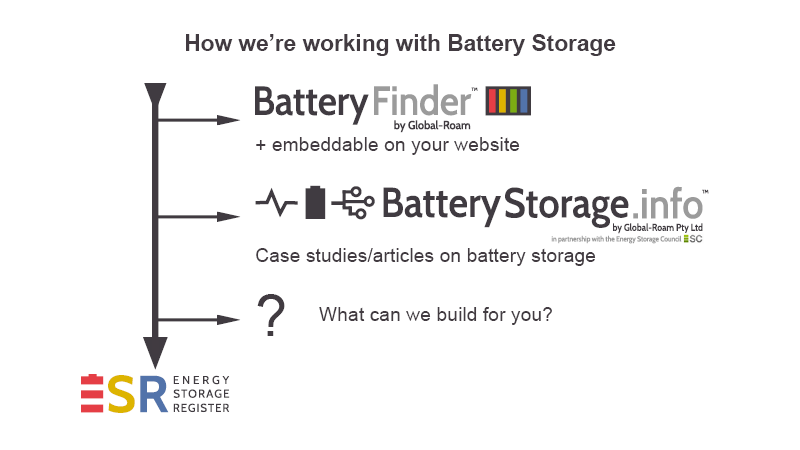 With only a few minutes to speak on the day, and with a number of stakeholders unable to make the event, we promised to post more information online at www.BatteryStorage.info – hence this update. The development of a national Energy Storage Register is something that’s not complex, at a conceptual level. However to ensure that it functions properly to deliver on the variety (and growing number) of requirements from a diverse range of stakeholders (both Data Providers and also potential Beneficiaries) is the challenge we’ve been focused on. For more information about the reasons we’re uncovering that a diverse variety of stakeholders could benefit from an Energy Storage Register, see here. 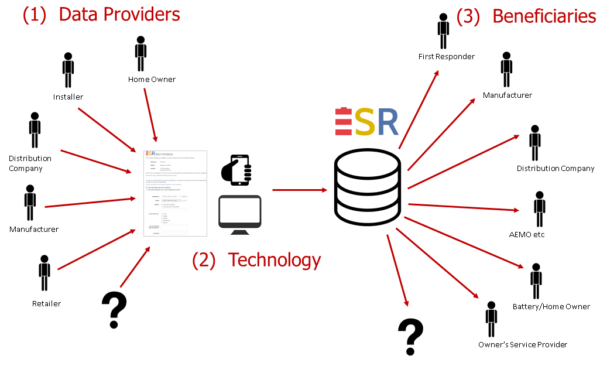 (B) An “Agile” approach to developing the E.S.R. As with all the products that we develop, we utilise an interative/interactive development approach summed up in “the Agile Manifesto” and explained here. This has meant that, in the process of developing the national Energy Storage Register, a number of other “artefacts” are falling out of the process along the way. As part of the development process for the E.S.R. we’ve been seeding the Storage Register with a growing number of instances where people’s installations of battery storage at home have been referenced at various locations in the media. You can find these references in the Articles section of the site – mostly categorised under “Battery Installed”. If you would like to provide more information about a particular battery storage installation referenced in any of these articles, please use the unique form embedded on that particular page? Our Battery Finder widget, developed in conjunction with the Energy Storage Council, was launched in October 2016. 1. The listing is extensive, but we know it’s not yet comprehensive (though that is where we need to get to, for the purposes of the Energy Storage Register). If you find makes and models we are not yet listing, please let us know – by using the feedback button on the battery. 2. You can also embed this on your own website (click the “<Embed>” button above and follow the prompts). We have already fielded calls from others interested in the battery storage space to see if we can, in the process of developing the Energy Storage Register, also produce other things that would meet their (current, or emerging) needs. Can we help you in this way? For those who can make it, we’ll look forward to speaking with you further at the “Solar & Storage Energy Exhibition and Conference” in Melbourne on 3rd May and 4th May. On 19th August 2016, the COAG Energy Council published this Consultation Paper via their Energy Market Transformation Project. We’ve prepared a page on this site, specifically focused on the COAG Consultation Process as a more permanent record for us.